THE dust is far from settling over Sunday’s parliamentary election in Bavaria. The CSU, a behemoth of Bavarian – and a frequent irritation in Federal German – politics, lost the absolute majority they’ve more or less held for decades. They are now forced to enter into a coalition to build a new Bavarian government. 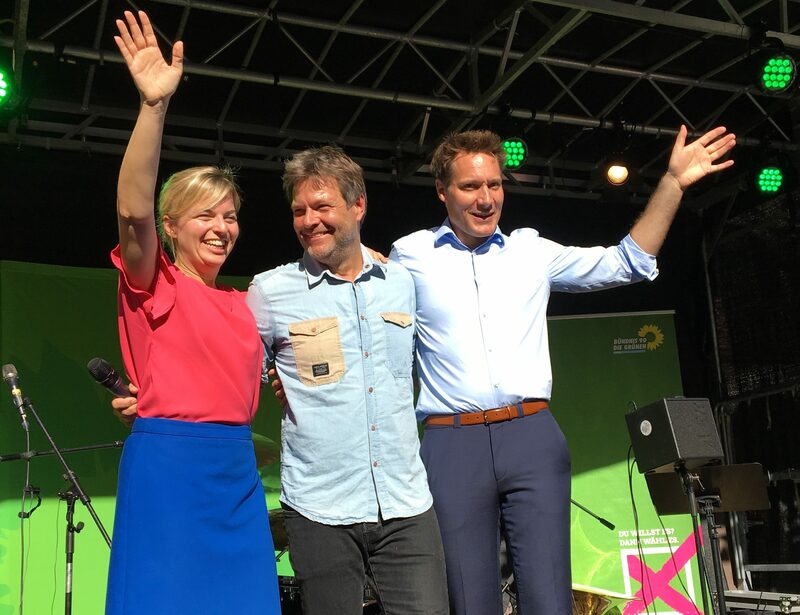 Possible partners include the Green party – the big winners of this election, doubling their result from five years ago to achieve 17.5%. But a Bavarian populist party, the Free Voters (Freie Wähler), might be a better ideological fit. The SPD are also an option, but given the miserable effect of their grand coalition (Große Koalition, or GroKo) with the Federal German government, they’d probably rather keep their distance. And nobody wants to get into bed with far-right party AfD. It’s all up for grabs as the CSU conduct exploratory talks with potential coalition partners. Interesting times. My report on location in Munich: text and – for the first time – VIDEO. Christine Madden is an Irish writer now based in Berlin and Munich, Germany. She freelances as journalist, editor, dramaturg and literary translator. Click here for more information.